We love doing custom designs for special wraps. 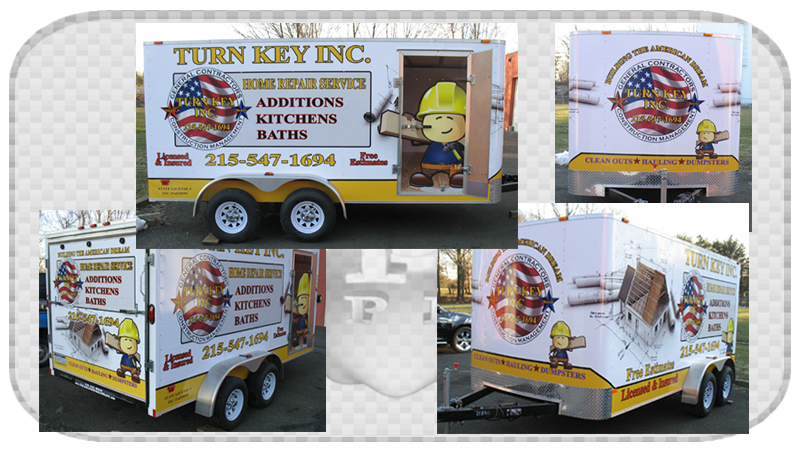 Yesterday we wrapped this Dump Truck for our friends at Turn Key General Contractors. We designed the concept and professionally installed this wrap on to the cab of the truck. We can take care of any size vehicle graphic job, from simple vinyl lettering to a complete wrap! We designed the truck wrap to match their already existing branding. This Dump Truck will look nice pulling their existing trailer.